Che Guevara biopic to be one movie, not two in the US? Revolutionary Update: IFC will distribute the film, not Magnolia…more about that here. Finally! 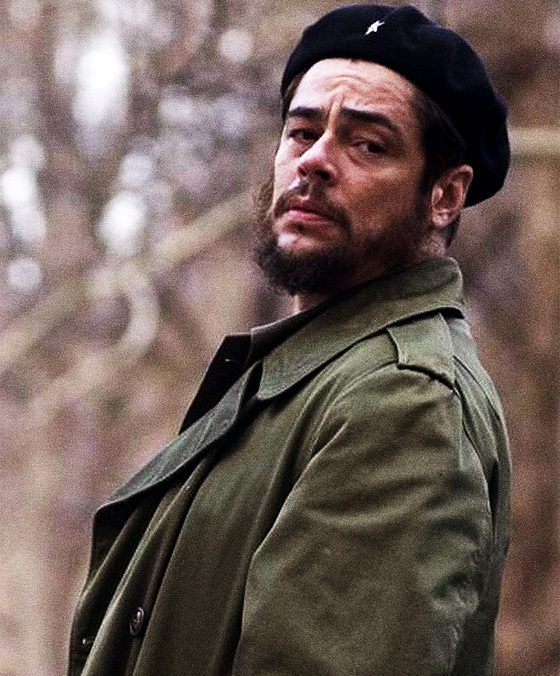 Magnolia Pictures will distribute the Steven Soderbergh (the Ocean’s trilogy) biopic Che in the US. Yes, you read that right, it will apparently be released as one film in the States instead of the two-parter The Argentine and Guerilla other countries are having (or are they?). The movie(s) premiered at this year’s Cannes Film Festival to very enthusiastic response and went on to win the Best Actor prize for star Benicio Del Toro (Things We Lost In The Fire), which is why it’s so surprising it couldn’t find a distributor until now. Magnolia hasn’t announced a date yet, but you can expect the film(s) to be released sometime in December in America. If you live in Spain however, you can check it (them?) out right now. This entry was posted in American Films, Biopics and tagged Benicio Del Toro, Best Actor, Cannes Film Festival, Che, Guerilla, Magnolia Pictures, Ocean's 11, Ocean's 12, Ocean's 13, Steven Soderbergh, The Argentine, Things We Lost In The Fire by Mr Hollywood. Bookmark the permalink. Oh My Gawd, I do not think I can wait until December to view this movie “Che”. I adore him and have for decades. Could they have chosen a better actor for the role than Del Toro? No, I don’t think so!!!!!!! !